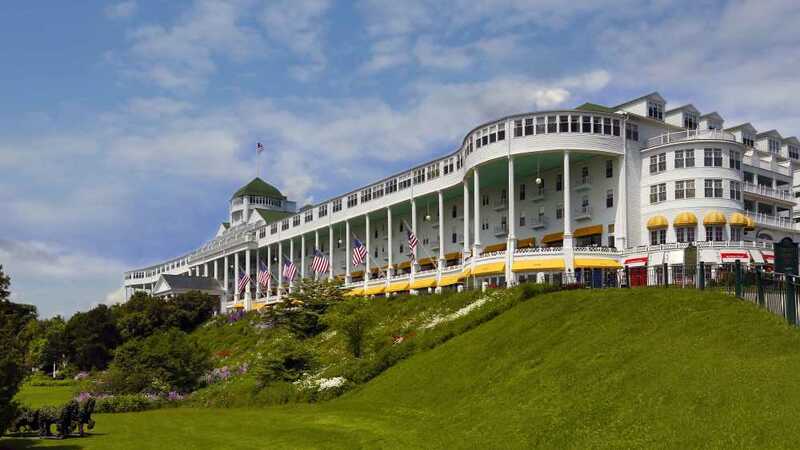 Grand Hotel – America’s Summer Place. A National historic landmark located on Mackinac Island where bikes and horse drawn carriages are the favored modes of transportation. 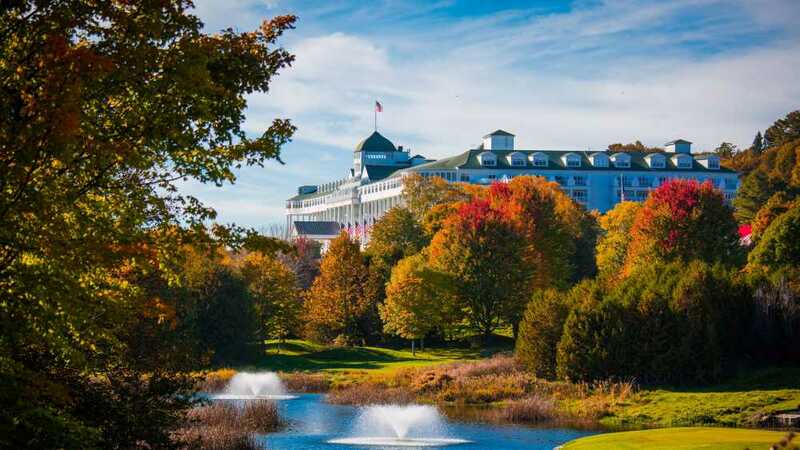 As Travel + Leisure’s 500 World’s Best Hotels and Conde Nast Traveler’s Top 5 Midwest Resorts, Grand Hotel offers outstanding accommodations where no two guest rooms are alike. Open from May – October enjoy spectacular views of the Straits of Mackinac in a rocking chair on the world’s longest porch. Dining at the Grand Hotel has been one of the highlights of experience for our guests. Every meal is truly special with exceptional food, service and ambiance. Options available are the Main Dining Room looking over the Straits of Mackinac requiring coat and tie for the gentlemen and dress or pantsuit for ladies after 6:30 p.m. Other options available are the more casual Gate House, Jockey Club at the Grand Stand, Cawthorne's Village Inn and Carleton's Tea Store.